With par facilities in beautiful surroundings, Pafos is the latest destination on the golfing map, a place where you can play the game all year round. There are four top class golf courses in the Pafos region, while a few others currently under construction. Situated in peaceful surroundings amidst landscaped hills with spectacular views, these offer luxury villas or apartments for rent or sale, clubhouses, shops, hotels and all the necessary facilities. They are far from the hustle and bustle of the main tourist resorts, yet near enough for easy access. Located 18km east of Pafos and 49km from Lemesos (Limassol), near “Petra tou Romiou”, this is an 18 hole course. 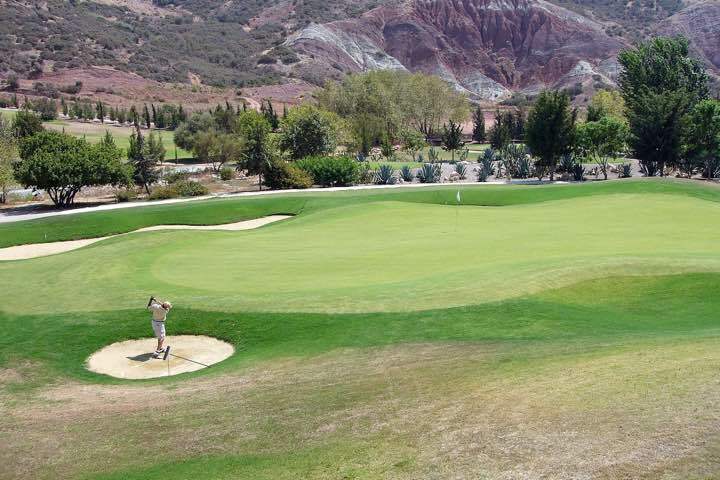 The aptly named Secret Valley Golf Course is tucked away in a superb valley east of Pafos near the legendary birthplace of Aphrodite, the goddess of love. It is set in scenic hills surrounded by mature trees and dramatic rock formations. The course plays to a par 71 and measures 5904m. The 18-hole championship course is situated in the grounds of a twelfth century monastery. Originally designed by Donald Steel in 1994, it’s the oldest course in Cyprus, and has recently undergone extensive enhancement by Mackenzie & Ebert. Minthis Hills also offers excellent practice facilities and an exceptional clubhouse with a superb restaurant and bar. Situated at the heart of the prestigious Eléa Estate in Cyprus, Eléa Golf Club offers world-class golf in a stunning setting. 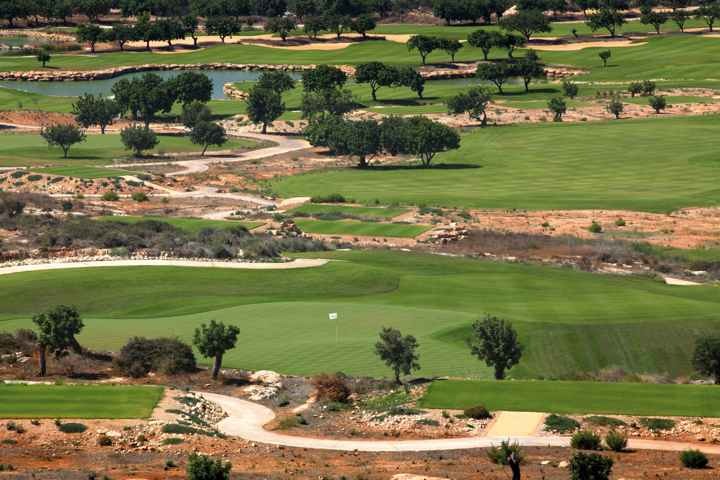 The 18-hole course, designed by Sir Nick Faldo, incorporates natural features to evoke a truly Mediterranean feel. 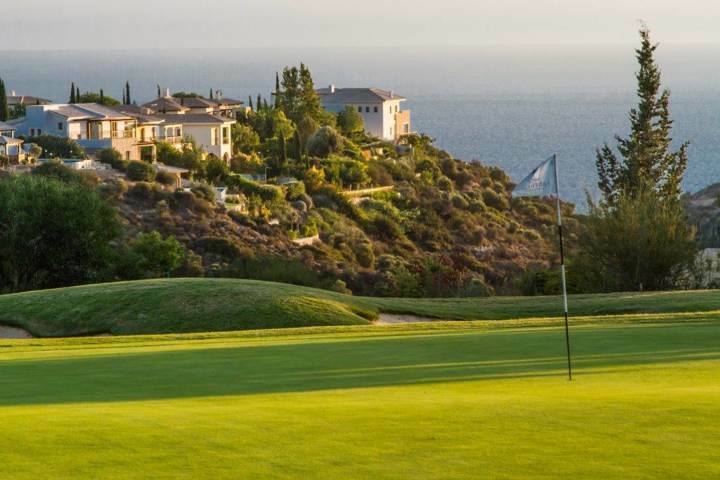 The course has been created to be sympathetic to its stunning setting, while still embodying the traditions of the game as one of the top golf courses in Cyprus. Aphrodite Hills is an award winning 18-hole championship standard golf course, has a double ended 350m practice range, 4 target greens with bunkers, short game practice facilities, 3 academy holes, two residential professional golf instructors, a large clubhouse with a bar and restaurant. 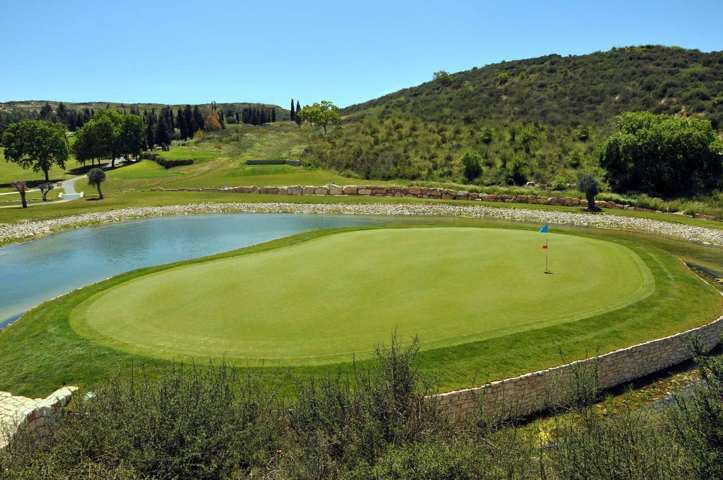 A signature hole, it plays steeply down across a canyon onto a large green nestled in a grove of olive trees.